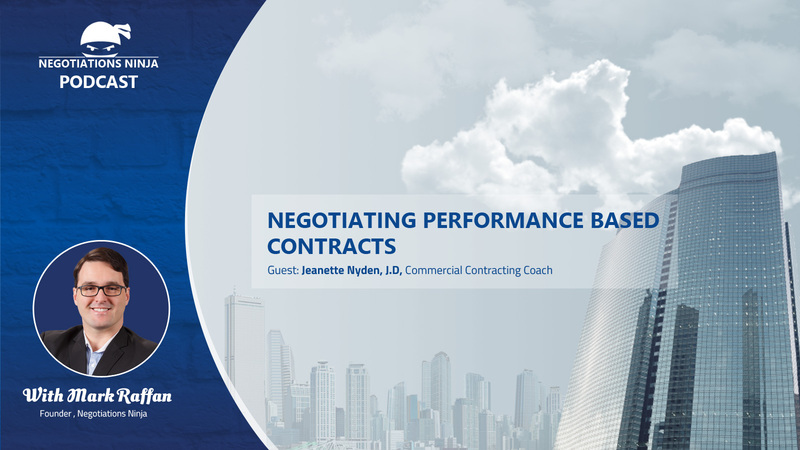 Jeanette Nyden, a commercial contract coach, is on the Negotiations Ninja podcast to discuss how to negotiate performance based contracts. We discussed what performance based contracts are, why they’re important, what to think about when putting together performance based contracts and some of the penalties and rewards systems that can be put in place. We really only scratched the surface of the topic, but it’s still very in depth. Get your note pads out.